While the slow cooker isn't well suited to every cooking task, it has many significant advantages. If you're interested in buying a slow cooker, be sure to read some of the benefits of slow cooker cooking below. The extended cooking times allow better distribution of flavors in many recipes. The lower temperatures lessen the chance of scorching foods that tend to stick to the bottom of a pan or burn in an oven. Less expensive or tough meats, such as chuck steaks, roast, and less-lean stewing beef, are tenderized through the long cooking process. The slow cooker is an excellent choice for cooking many venison dishes. The slow cooker frees your oven and stove top for other uses, and it is a splendid choice for large gatherings or holiday meals. Many people swear by their slow cooker dressing or mashed potatoes. There's no need to scrub several pots and pans. In most cases, you'll only have to wash the slow cooker and maybe a few prep utensils. Slow cookers use less energy than a standard electric oven. The slow cooker won't heat the kitchen up the way a large oven will, a real plus on a hot summer day. A slow cooker travels well. Take it from your kitchen to the office or party. Just plug it in and serve. Convenience! 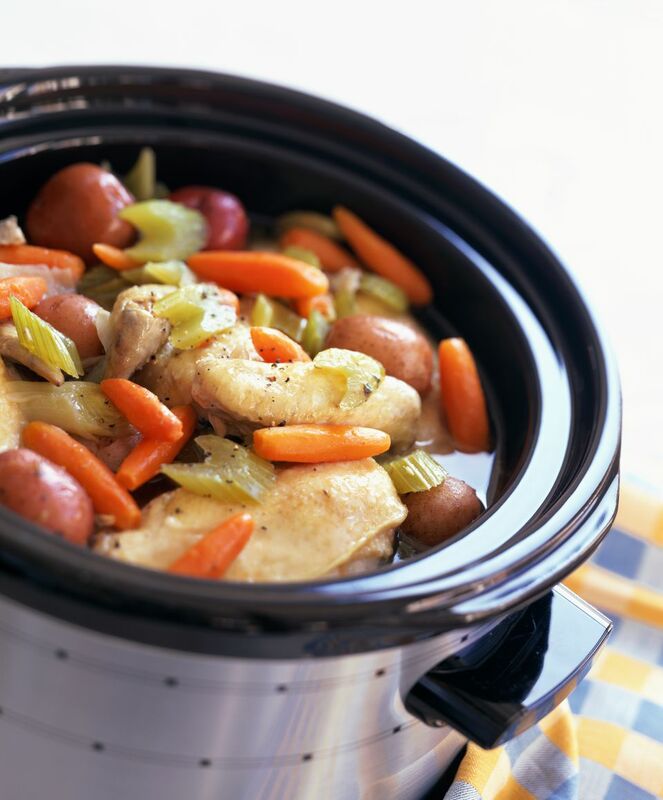 A slow cooker can usually be left unattended all day for many recipes. * You can put recipe ingredients in it before going to work and come home to a meal. A slow cooker meal is an excellent choice for a busy day, whether you work in or out of your home. *Note: Whenever you purchase a new slow cooker, use it a few times on both HIGH and LOW settings before leaving it unattended.